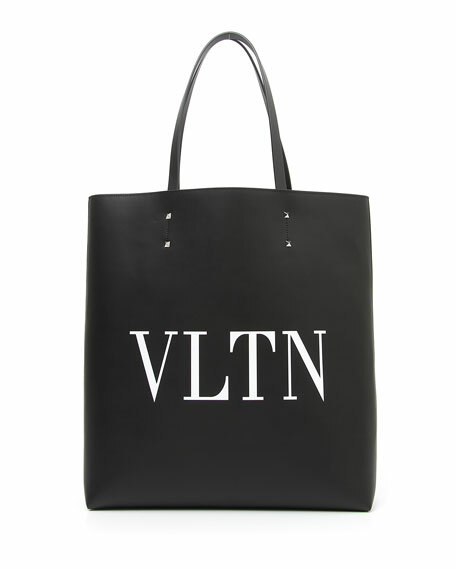 Valentino tote bag with "VLTN" logo print. Flat tote handles with Rockstud detail. For in-store inquiries, use sku #2590308.